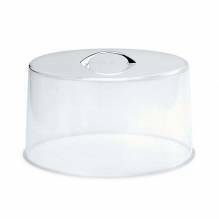 Cover your tasty pastries, cookies, and cakes without having to diminish their presentation by using a pie or cake stand and cover! 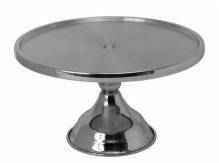 Perfect for countertop display, these cake stands can be self-serve or merely decorative! Place one in your kitchen at home so you can show off your new batch of cookies or cake! Don’t let the name fool you, these can hold much more than just cake! Looking for something to hold a larger quantity? Our countertop display cases will do just that! A small cake stand is versatile so you can display your most prized products wherever is most convenient! Place by the cash register to increase impulse buys! A cake display stand can be used in a number of ways, including at cafes, bakeries, cafeterias, buffets, and catered events! Cover up appetizers and food items by still allowing everyone to see what’s inside! This simple design allows the eye to focus most on the product on display!